Wash squirrel well n make sure no shot left anywhere. Over meduim high heat , heat oil in skillet. Add a few pieces of squuirrel at a time to seasoned baking mix, shaking well so pieces are well coated. 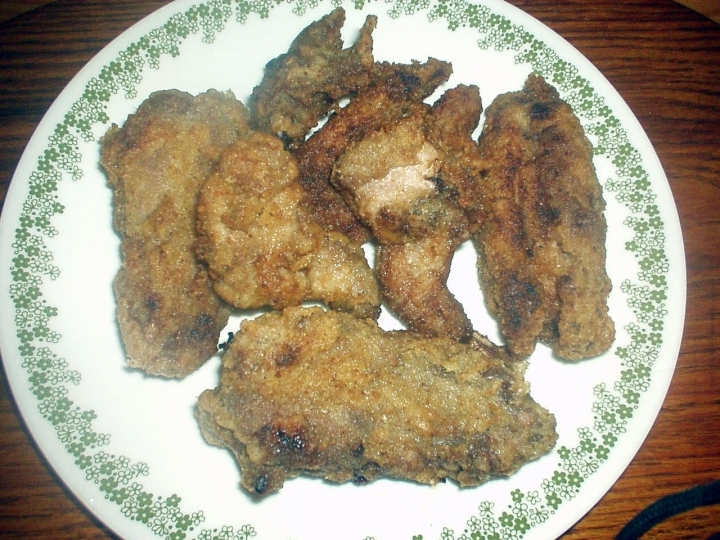 Fry squirrel in hot oil till nice n golden brown. Place in large pan, cover with foil when all the squirrel has been fried and place in 250 degree oven n slowly cook till tender apox. 2 hours. Here you go, Jimbo. Happy hunting-u! The only cookbook I've ever read (or even looked at, pretty much) was one of recipes you could make on long car trips where you could cook the food by its proximity to the engine. I forget if there were any recipes for roadkill. The Prof wrote: I remember when they used to help you cross the road. 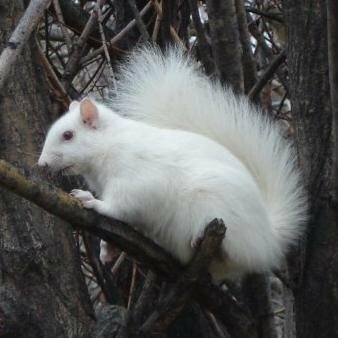 harvey k-tel wrote: My neighbourhood, Trinity-Bellwoods, is famous for its white squirrels. There’s aren't many and it feels like a bit of a blessing to see one. If you ever come her I'll take you on a white squirrel hunt (pictures only, please). Their face looks different somehow to normal squirrels? Looks like a white rat to me. I don't have a garden or extensive flower beds at my current place so I've had a truce for two years but I don't like them. Rats in a fancy suit imo. Six String wrote: Looks like a white rat to me. I don't have a garden or extensive flower beds at my current place so I've had a truce for two years but I don't like them. Rats in a fancy suit imo. Hey, Ellie-May, if you like the critters so damn much come to Japan and visit Squirrel Village where you can, wearing appropriately thickened gloves, hand feed dozens of them and then split having seen up close enough squirrels to last a lifetime. 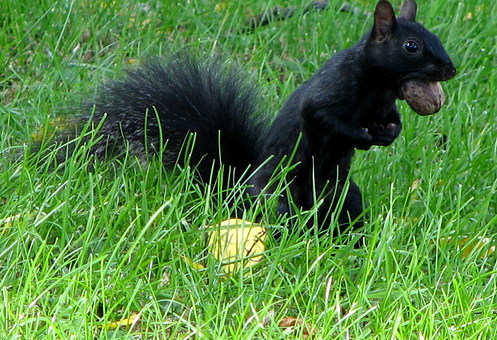 There are black ones in DC - apparently a bunch were initially a gift from Canada for the National Zoo and they multiplied like crazy. The National Cathedral grounds are loaded with them. I love our local squirrels, Secret and Squirrel Girl. They crack my daughter up and they don't really run away until you get really close. Visitors from S. America are fascinated by them, too. Count Machuki wrote: There are black ones in DC - apparently a bunch were initially a gift from Canada for the National Zoo and they multiplied like crazy. The National Cathedral grounds are loaded with them. Yeah we have the black ones in NYC too although not up in Westchester County. I'm sort of torn at times they are like rats, especially under a bird feeder. Then at other times they look cute and fun to watch chasing each other.